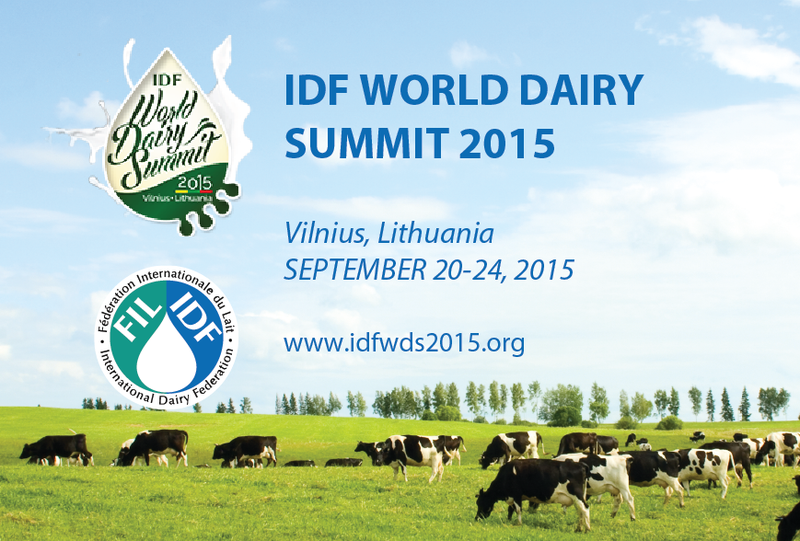 SUSMILK: News - RESULTS FOR DAIRY! SUSMILK results for EU dairy! Look up at insights and solutions presented in Santiago! 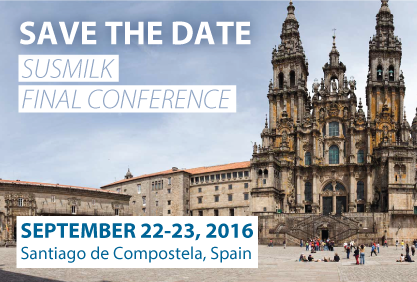 The conference “Solutions for sustainable milk processing” presented the results of the 3-year work of the SUSMILK project. It has been considered a success by the public for the interest of content as well as the quality of speakers. The event provided a 2-day program with plenary sessions, workshops, poster sessions and technical visits that allowed discussing about sustainability and resource efficiency in the dairy sector from different points of view. Acknowledged experts from international dairy association IDF, represented by Piercristiano Brazzale and Brian Lindsay, gave an overview of trends and ongoing activities in the dairy sector with regard to sustainability. Through their presentations, questions as “how does sustainability affect competitiveness?” or “by what means can a company face sustainability challenges?” were discussed with attendees. The conference also gave the opportunity to know alternative and innovative technologies and developments in milk processing. Representatives of EC funded projects, EnReMilk and ENTHALPY, explained how to get significant water and energy savings in the European dairy industry. Emerging and novel engineering technologies implemented in mozzarella and milk powder production, as well as innovation advances in the production chain such as a more efficient pre-treatment of milk or effective cleaning processes, were presented. Besides, 20 projects at regional, national and international level were showed in the poster session. Attendees knew different initiatives about relevant topics for the sustainability, such bio-energy production using effluents from the dairy industry, use of dairy wastes for biogas production, treatment of waste water or carbon footprint. Christoph Glasner, project manager of SUSMILK , introduced the main findings of the different innovation fields developed and demonstrated within the project (product processing, energy technologies and waste processing). All these aspects, together with life cycle, efficiency and economic assessment of the SUSMILK green dairy concept compared to the generic dairy model, have been deepened during 3 parallel workshops to meet all experts' interests, who actively attended also technical visits at APLTA and Feiraco Lacteos the day after. The parallel workshops have been the core part of the conference. Register to GDN to download all materials! More information after the following recap. WS1, moderated by A. Muniz, FEUGA addressed the topic “heating & cooling technologies”, where practical implementation of the technologies developed in the project was explained. Solarfocus and Queizuar presented the operation of the pellet-solar system for heat generation that allows a 50% costs reduction based on energy savings. Simaka did a presentation of the heat pump system for heat upgrading, giving clear economical data: 60,000 € of investment, 38,000 €/a. of saving costs, 1.8 years of return of investment. Finally, Fraunhofer and Feiraco explained the absorption chiller for adaptation of efficient cooling, developed by Parker. After testing the chiller operation, Feiraco proposed some adaptations to get a 2.5 higher level of cooling water keeping the energy savings of the current design. WS2 focused on “product and by product related technologies” have been moderated by M. Battistella, T2I. An innovative milk concentration unit, developed by Fraunhofer and ACRAM and tested at 3 different dairies, demonstrates selective and higher concentration factors of milk components thanks to a high pressure system assuring economics in transporting milk. A dairy manager can estimate necessary membrane area and the stream compositions by using the SUSMILK Online Tool www.susmilk.com/SOT. Alternative solutions and approaches have been also evaluated at laboratory level to minimize waste and wastewater treatments and recover chemicals and bioenergy. Lab-scale experiments conducted by Fraunhofer, FINS and AD Imlek helped to provide some recommendations for the recovery of dairy CIP wastewaters: membrane filtration techniques can reduce consumption of water and chemicals. Potential cost savings by applying wastewater recycling can be roughly estimated again via the SUSMILK OnlineTool. USC explained how to recover proteins from whey by microparticulation; LNEG and KTU described the possibilities to increase the efficiency of bioconversion of dairy residues to biogas and bioethanol; KTU, USC and NTNU examined production of biopolymers by fermentative processes capable to synthesize lactic acid from dairy organic effluents and production of biogas from CIP effluent or from membrane concentrate by anaerobic digestion at mesophilic and thermophilic temperature. Finally, WS3 “simulation & analysis” moderated by N. Reichl, FPI showed the model for a generic dairy developed in the project by Fraunhofer and LNEG to provide a reference model for analysis and optimization. Exergy-based analysis was conducted by Richtvert in order to ensure that no optimization potential was overlooked and that efficiency assessment not only considers aspects of energy conservation but also how well the energy quality of the primary resources has been used. Life cycle assessment (LCA) was applied for the environmental evaluation within the SUSMILK project by ESU-Services. In this LCA, the focus was on dairy processes. The LCA proved that an overall reduction of about 25% compared to average dairy operation is possible. Yet, the ideal energy solution depends on the specific situation (i.e. location, heating and cooling demands, waste heat availability). Besides,the results of the economic assessment conducted for the technologies developed in the project proved the economic feasibility regarding payback periods. For the best and widespread dissemination of the showcased topics, all the presentations have been shared through the GreenDairyNet (GDN) in the dedicated Community: Susmilk pilot applications //www.greendairy.net/communities.php . Register for free to download them! GDN is the open platform for experts interested in sustainable development and resource efficient processing technologies for the dairy industry. Every registered user can illustrate initiatives and expertises, establish collaborations and access thematic communities.